Them Digital are a London PC specialist offering a complete range of PC support services including repair, sales and maintenance. The majority of our clients are small to medium sized businesses in EC1 and the greater London area, requiring assistance with selecting the right PC systems for their staff or providing repairs, upgrades and other specialist PC maintenance services. Whatever your business technology requirements, our friendly and professional London based PC specialist engineers can assist you in setting up, maintaining and growing your systems – and will be there to help you when things go wrong! When your business depends on having a working PC you need prompt repair by a PC specialist to get your business moving again. If you've ever tried fixing one of these problems yourself, you will know the hours or days that can be wasted. Multiply that across a small business with several PCs and it's easy to see the potential for lost productivity. Calling a PC specialist to sort things out needn't be daunting, and it will certainly pay for itself in terms of business efficiency. Call us for ad hoc repairs or choose one of our contract support options. Based in EC1, we can provide fast repairs to Central London businesses typically within 4-8 hours. When you are buying PCs for your business it can be a job in itself ensuring that what you buy is capable of doing everything you and your staff need, but without spending money on unnecessary features. Getting objective advice from a PC specialist can save time and money. Whether you want a single PC or to equip a whole office, London PC specialist company Them Digital can make the buying process faster and easier by analysing your requirements and recommending suitable products to meet your needs. 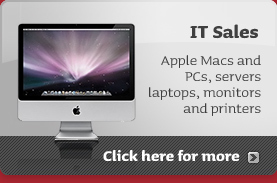 We sell all major brands of PCs and laptops including HP, Fujitsu, Acer, Toshiba and Sony. As a PC specialist we also understand the importance of having the right peripherals to get the most benefit from your PC and to protect valuable business data. We can advise on the right type and size of screen for different types of task and what external hard drives you may need for backup. Depending on the type of business you run and how mobile your staff need to be, we can advise on the purchase of printers, USB devices and more. When you buy through us we offer 30 days free support on all purchases, which includes phone, remote and on site visits if necessary. This will ensure that everything is set up and working properly to your satisfaction. Our maintenance services are included as part of our PC support plans – because we know that well maintained PCs result in fewer emergency callouts for us, as well as less hassle for our clients. Ad Hoc Support charged at a fixed hourly rate. Perfect for the PC user who is comfortable doing most things themselves but wants to know there is someone to call if they need it. Phone/Remote Support. Unlimited support via phone or remote login and priority over ad hoc requests. On-site visits attract additional charging. On-Site Software Support. Unlimited site call outs for application and operation system problems. Includes preventative maintenance and next day service. Comprehensive PC Support. Full on-site support for software and hardware problems. Includes 4-8 hour response guarantee and temporary workstation provision in the event of hardware failure.